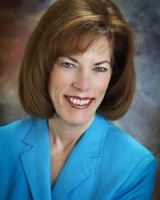 Christine Anderson is the Executive Director of the New Mexico Spaceport Authority, a position she assumed in 2011. She is responsible for the development and operation of the first purpose-built commercial spaceport -- Spaceport America. Spaceport America, situated on 18,000 acres in southern New Mexico, has hosted 20 vertical launches and supports several tenants including Virgin Galactic and SpaceX as well several other launch customers. Anderson retired from the United States Air Force as a civilian with 30 years' service. In the Air Force she achieved the rank of Senior Executive Service, the civilian equivalent of the military rank of General Officer. Anderson was the DOD Project Manager for Ada 95, an international standard software programming language. Anderson was the founding Director of the Space Vehicles Directorate at the Air Force Research Laboratory, Kirtland Air Force Base, New Mexico. She also served as the Director of the Space Technology Directorate at the Air Force Phillips Laboratory at Kirtland, and as the Director of the Military Satellite Communications Joint Program Office at the Air Force Space and Missile Systems Center in Los Angeles where she directed the development, acquisition and execution of a $50 billion portfolio. She is a Fellow of the American Institute of Aeronautics and Astronautics. Anderson earned a B.S. in Mathematics from the University of Maryland, and completed the National Security Leadership Program at Johns Hopkins University and the Senior Management in Government Program at Harvard University.